Discussion in 'VF Holden Commodore (2013 - 2017)' started by justice4all3000, May 25, 2018. Yeah my Samsung used to work just fine too. Hmm I’ve still got it ‘round here somewhere, might swap the SIM over & take it on next fortnight’s pickup. Is it an iPhone problem? My Samsung works fine. Yep my s9+ works fine too. lmoengnr, wetwork65 and VF Redline like this. See the Apple fanbois get all upset! All of my family's Androids connect perfectly, unlike Apple's "superior" product with one button to do everything. Mother in law's iPhone can't connect reliably no matter how many times the single button is pressed. Can’t say I’ve had a problem with my iPhone. 7 was fine and my brand new XR is fine. I know, the people that are hooked on the apple ecosystem are the only ones who think its a superior product when the products are usually substandard and of poor build quality. just look on youtube for "Louis Rossmann" or "Jessa Jones" and watch them explain time after time the manufacturing floors that exist in every generation of apple products and how they are fighting apple for the "right to repair" because apple is of the opinion that when you buy their device you don't have the right to have that repaired by anyone but apple which always involves the customer being charged 5x more than a 3rd party repairer and if your device is 5 years old buy a new one because they consider it vintage and will not repair it. As someone who doesn’t care and flip-flops ... Apple stuff usually just works & has a more intuitive interface. I only got the ‘phone because I couldn’t be arsed changing from my current ‘phone provider, and last time I needed a new handset they didn’t have another one which was a reasonable cost & which wasn’t the size of an A3 piece of paper. It’s been less flaky than the Samsung in general, but the two worse things are that it’s suckier talking to the Commodore & to transfer photos directly to a Windoze PC. I have to agree on the iphone interface being more simplified and its something that android could take a lesson from. My problems with apple are not software my concerns are all with the actual hardware mac and phone and how apple responds to the customer. If holden told you that you are never to modify or repair or have your vf serviced anywhere but with them or it will void any warranty and they might legally go after the 3rd party repair/service group or that after 5 years your vf was classed as vintage and they would not repair it or supply any parts for it and use customs to confiscate any parts a 3rd party repair shop or you might try and import you would probably tell holden to go screw them selves. That is what apple is doing right now to its customers and people that try to repair an apple product and it is mind blowing that people still support that company. Did you previously use Pandora with a cable? Only downside there is the steering wheel controls to change songs won't work. Bluetooth works great with my Galaxy S8 and Spotify. Nah mate, only got mine in April 18, so Pandora was gone. Have tried using VPN on phonecapp via bluetooth and that works, but would rather something built into mylink. Got a service on Friday and asked about Pandora reolacement. Right now, there are no.plans to replace or erven remove defunct app from screen. Express VPN and Pandora works using the Mylink Pandora app no problems. Samsung s8. That's exactly what I'm doing, but it just wouldn't work for me. Can you expand on how you're using the VPN blokes? Express VPN is one of my fav programs. On the desktop computer, easy installation, easy to manage, great customer support. You can choose various world wide servers to use as your base. Covers 3 devices, so your phone can manage Spotify,Pandora through other servers. I'm based in Germany atm and any Google pop ups come in the german language! Australian servers limit access to torrent sites, which is my interest. I assume the Pandora app on MyLink would access the US server and check your local region to decide whether to allow access or not, otherwise VPN would not allow the MyLink app to function. As is, VPN simply makes it look like your requests are coming from a location of your choice (USA?). It has greater use than Pandora alone (US Netflix, etc, etc). But it can be a frustrating think if providers actively try and identify VPN traffic and block it as some have done. I’ve never used Pandora though I thought it was a free service. So, using ExpressVPN to access it will cost $99 (presumably in AUD) which could buy a nice size USB thumb drive where you can place bucket loads of music on it... So is Pandora that much better than a thumb drive to make it worth the cost of VPN? Just curious as Pandora was dead when I bought my doore. There's some mystery to having a music service or radio station playing the music ... you don't know what's going to come up next. By comparison the ~6000 tracks or so that I own personally & have ripped to my thumb-drive have all been heard before, most of them many times. I was interested to hear a detailed answer to 426Cuda's question. My assumption is that you install the VPN software on your 'phone, and configure something-or-other so that some or all apps access the internet via this VPN software; making it appear to the Pandora server as though your 'phone is accessing the internet from some point in the USA. But that configuration step - it's a guess, I don't know. Skylarking and 426Cuda like this. It is very simple. Choose your country of choice and press go. No other steps required. Just do what you usually do with phone, pad or computer. In my case, I use usb drives with downloaded music. (My reason for the app). 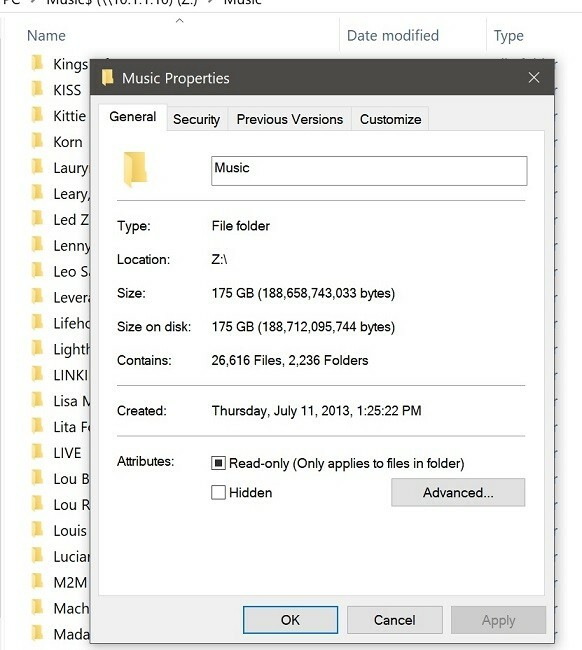 With over 12,000 music albums, I never catch up with my downloads. you just make your own pandora using shuffle and a large usb stick or hdd. I’ve got a bit of a Thing, maybe a pointless one, about legality & my music; own it all, mostly on CD. Would be quite costly legally obtaining 26k tracks of a quality.style I wanted to listen to. As I understand it, format shifting (as the legislation calls it) is allowed for music but oddly not for video. Can’t remember what the legislation was titled, or the year it was past, but it wasn’t long ago. So, if you own music on CD, it’s permitted to rip the songs from the CDs you own to mp4 or whatever encoding or container format you prefer for your private consumption. As such there is need to worry about legalities.